Hotels are some of the more lucrative businesses one can get into. They are especially lucrative if the hotel in question is located in a busy city or near a popular tourist destination. Being part of the hospitality industry, you will never run out of customers as long as your hotel will be managed properly. However, you will not make any money if you do not have a hotel to run. You may also see restaurant business plans. Starting a hotel takes a lot of time, dedication, and money. First of all, you have to check with the proper authorities to look for the required authorization and paperwork that are needed to establish your hotel. Then you need to meet up with architects, engineers, designers, and other people with expertise that is related to constructing the physical building of your hotel itself. You may also see catering business plans. Then there is the funding. Both the paperwork and the physical hotel building will not exist without the funding. Starting a hotel will need money. It will need lots of money. How are you going to get that money? You simply get that money. Well, if you have a lot of money that is. Truth is, getting that funding it is not that simple. You will need a lot of help from different kinds of people to secure that money. These people will be your potential business partners and in order for you to convince them to become real business partners, you will need a plan. 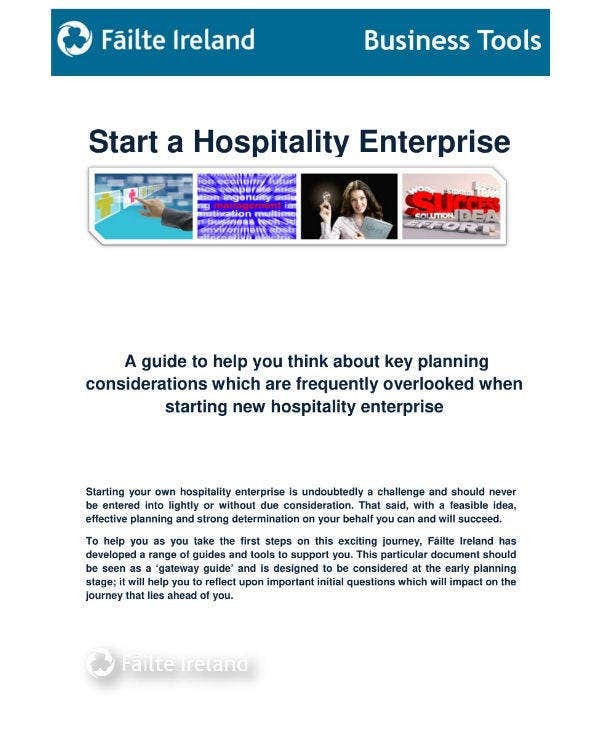 You will need a hotel business plan. A business plan is a formal statement of business goals, reasons that they are able to be attained, and the plans that they can be reached. The business plan can also contain background information about the team or organization that is presenting it. The format and message of a business plan may be altered depending on which audience it will be presented to. If the said business plan is to be presented to bank people, then its focus will be on the interests of the said bank people. As such, one company may have multiple business plans. 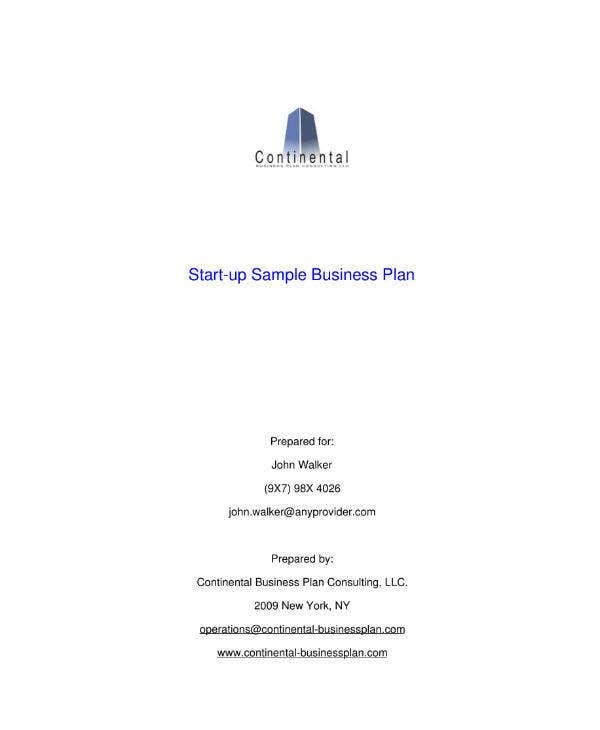 Furthermore, business plans may contain with them more detailed plans that are related to the business, some of which include, financial plans, operational plans, and strategic plans. You may also see travel business plans. How a business plan is written depends entirely on its potential audience. As such, this audience will determine what type the business plan will be. These types are externally focused business plans and internally focused business plan. Externally focused business plans target goals that are essential to external stakeholders, especially those of the financial kind. This kind of business plan usually contains detailed information about the organization or team attempting to reach their goals. 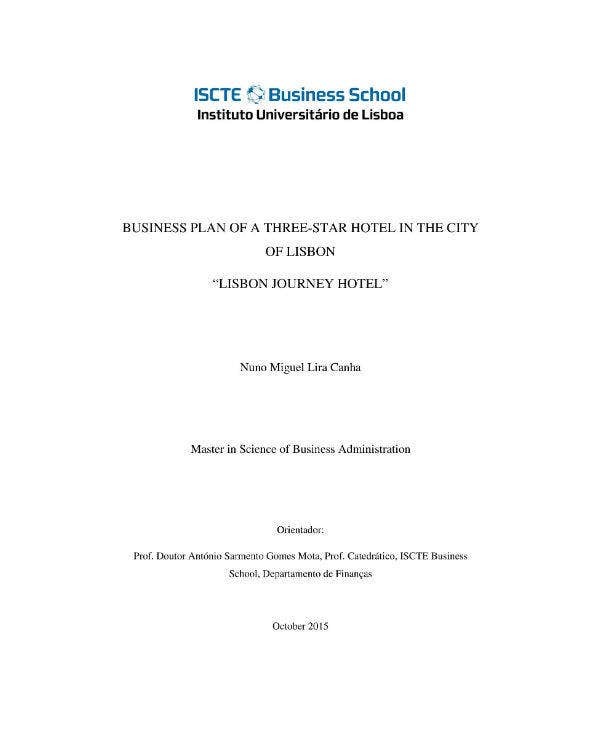 For a hotel business plan, the external stakeholders may include customers and investors. Internally focused business plans, meanwhile, target intermediate goals that are indispensable to reach the organization’s goals. These might focus on the development of new products, new services, restructuring of finance, or even the restructuring of the organization. This type of business plan is usually developed in conjunction with a balanced scorecard in order to allow the success of the simple plan to be measured using non-financial measures. The internally focused business plan may share some similarities with the strategic plan however they differ in the fact that a strategic plan only identifies and targets internals goals but provide only a general guidance on how they can be accomplished. There is really no fixed format that is uniform for a business plan. Even if they share the audience, the way a business plan is written will probably differ from company to company. However, there are important elements or sections that all business plans to share. These sections are crucial in order for the said business plan to deliver its message to its audience. In order for it to be effective, a small business plan has to have the following sections. 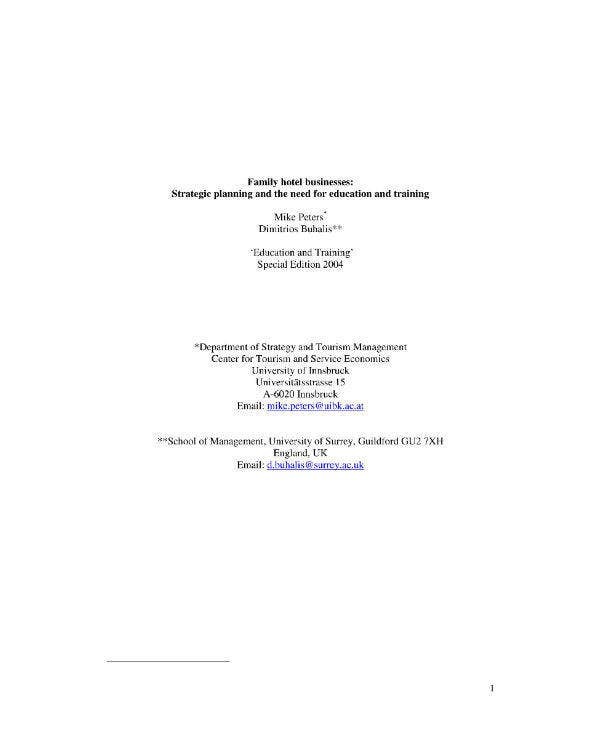 The executive summary is first seen, last written. This section of the business plan contains, as it is aptly named, the overview of the entire business plan. Its aim is to summarize the whole of the business plan in a way that entices them to read the whole document. The executive summary should include the most important information upfront. 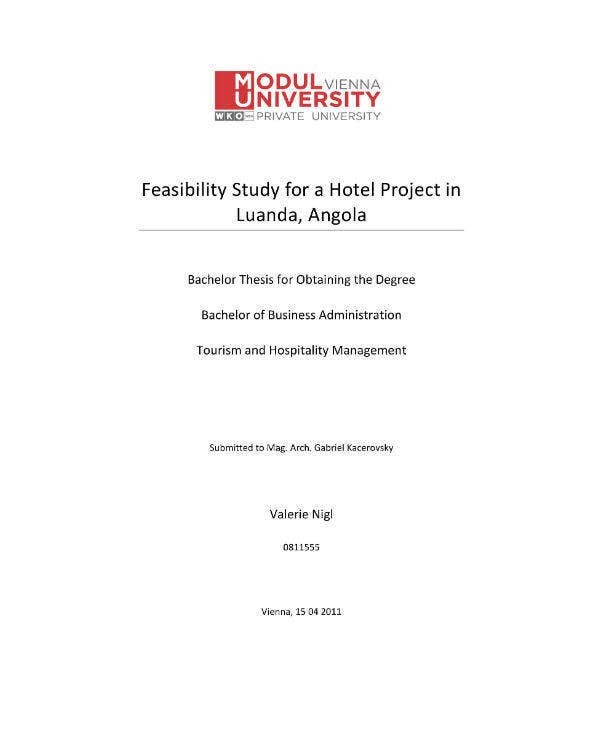 For your hotel business plans, this section must describe your hotel, summarize your market analysis and prove that a new hotel is needed and feasible. You should also provide a reason why you meet that need and how you can meet that need. However, as this is only a summary, you should only write it in at least one to two pages. This section of the business plan describes your company as the way it is today. In your case, the company analysis, talk about its founding, current business stage, and legal structure. It is also a good idea to show and outline important past milestones. Milestones such as securing key funding or hiring key personnel staff. It is also in this part that you can show off the more unique characteristics of your hotel. The hospitality industry encompasses a lot. 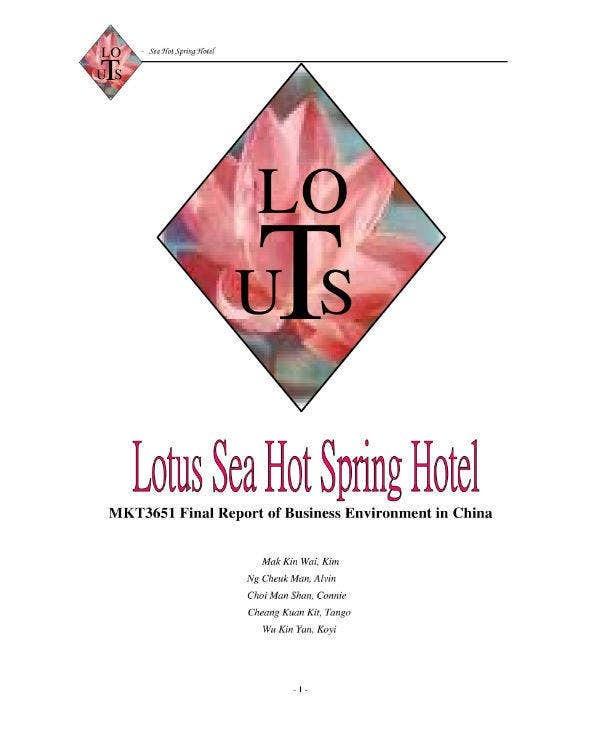 Within it, includes the tourism industry and the service industry in which the hotel services are included. Analysing the whole industry in which your business is a part of can be daunting. However, you don’t need to be as broad, rather, you only need to focus on your relative market. In this part, you can select and decide which niche you want to focus on. Research the projections and trends that affect this said niche. Also, include in this part your sample plan to overcome any hurdles you find in your research. All travelers are potential hotel customers. However, not all travelers will be your potential hotel customers. Your hotel can specialize in which customers it wants to serve. You can either serve business travelers or vacationers. In running a hotel, you will need to know the demographics of your customers and the way they decide where to stay. The customer analysis is important in order to these all and more. A competitive analysis is an analysis of your potential competitors. However, not all hotels in your area may be your direct competition. Some hotels might target a different niche and market from you. These are called indirect competition. Other establishments, meanwhile, those that have the same target market and niche as you are called direct competitors. In your competitive analysis, group both your direct and indirect competitors. Describe them each and underline how your is unique from them. Double down on the services and features that your hotel can offer that other hotels can’t. Marketing stand on the pillars of four P’s: Product, Price, Promotion, and Place. The product is defined by your hotel nights and other products or services you sell. Price is how much you charge for the previous P and the reasoning for such pricing. The place is where your hotel is physically found, your online presence and any other sites that customers can use to book your hotel. Lastly, promotion is basically how you can convince your customer to stay in your establishment. It also includes customer retention which means how you can convince your customers to come again. 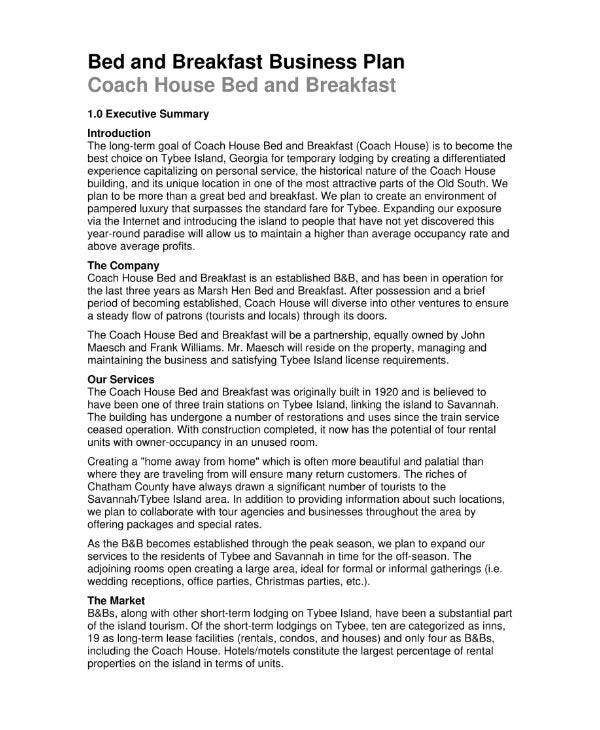 The operations plan is basically your hotel’s more detailed manual. There will be a goal in mind for writing a business plan. The operation plan basically describes how you will achieve those goals. 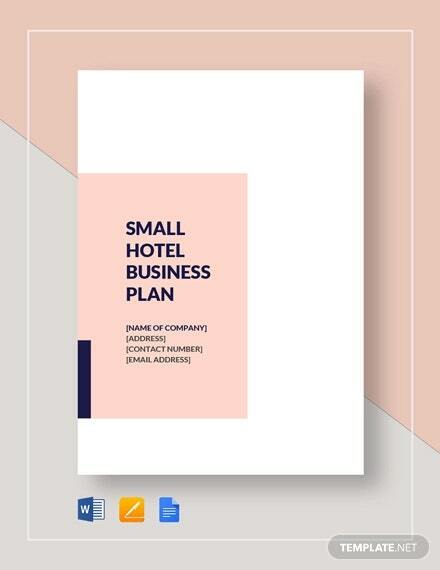 This can include short-term plans that detail the day-to-day operations of the hotel and long-term plans that indicate how to hit a certain occupancy rate or expanding your service. A hotel business is nothing without its staff. This staff will also be nothing if they are not managed properly. A good management team will make for a trusted hotel business. Demonstrate this by highlighting exemplary key staff members and their background. A strong advisory board can be helpful in overcoming weakness if you show how the board will affect the company’s board directly. In any business, the financial plan is the most difficult section to develop. The aim of this section is to describe individual revenue streams by the projected timeline for implementation and relative importance. Furthermore, this section should also discuss outside funding sources and summary of other financial stuff. Making key assumptions that are both reasonable and confirmable through analysis of similar companies is also a key part of this section. Lastly, this is also the part of the business plan where you outline a good exit strategy to ease the nervousness of your stakeholders. Your full financial projections, documentation that back up your claims should go in this part of the basic business plan. Also include letters from key partners, patent details for any automation technology, and other related documents. 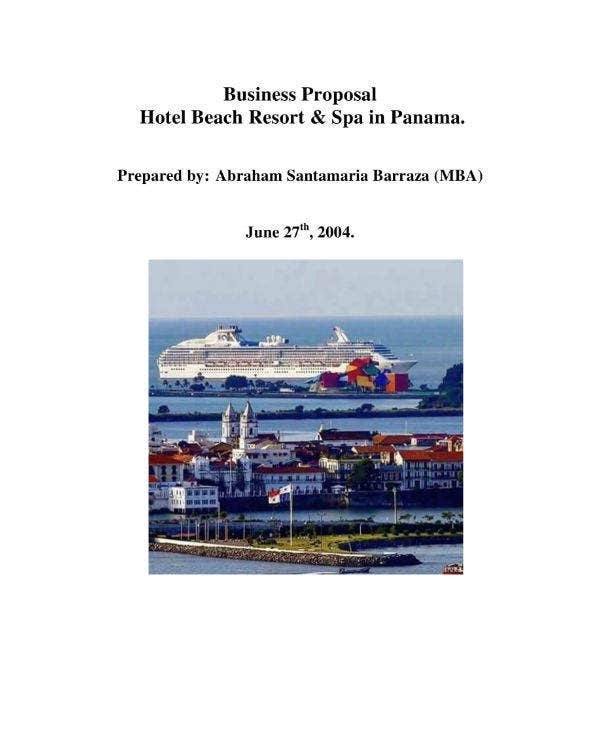 A hotel business plan is important in both starting out and running a hotel. The purpose of a business plan depends on the type of audience where it will be presented. A business plan can be used to present a good argument to secure funding. It can also be used to show stockholders the goals and aims of a business and its current standings. A business plan contains with it a lot of sections that are crucial in order for it to deliver its message, however, there is no real format that a business plan should follow.